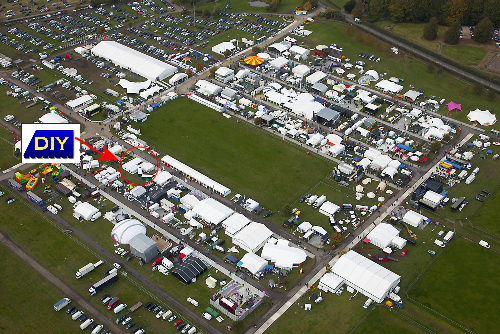 The Showmans Show is again at Newbury and will be held on Wednesday 23rd and Thursday 24th October. For those of you unaware The Showman’s Show is the one show aimed at marquee hire companies. Any serious supplier to the marquee hire trade will have a stand there and it’s well worth a visit, you can meet specialist companies in marquee hire insurance, furniture, heating, flooring, staging and just about anything else you can fit in a marquee. New products are usually launched at The Showman’s Show so it’s worth keeping an eye on even if it’s not something you need immediately just knowing what’s going on in the industry can help greatly. A good marquee electrical problem was posted on the forum, unfortunately it was lost in a database error just before the forum closed. I think it’s worth posting here not to scaremonger but to reinforce my post of a couple of weeks ago stating you should only tackle electrical tasks you are confident in. We work as health and safety advisors to several venues. I recently turned up to one of these venues to find the marquee supplier (not us I should point out) had run the electrics out from a barn. The barn had a 63amp socket, a 32amp socket and one 13amp socket. They had plugged in to the 32amp socket with an adapter down to a 16amp plug then run a mixture of 2.5mm & 1.5mm blue arctic cable leads to the marquee. This was then supplying the lights, bar, DJ and catering equipment (including tea urns and ovens) for the whole marquee. Dean then went on to explain how he’d replaced all the electrics to make it safe despite it not being his marquee. His actions almost certainly prevented a major incident. The lead was overloaded. There is far far too much electrical equipment going through a lead of that size. Lack of protection. The 32amp socket would be protected by a 32amp trip. Fitting an adapter down to 16amp plugs/sockets/leads means those plugs/sockets/leads are going to get damaged before the trip comes in to play. Dean was able to run an electrical supply from the 63amp socket out to a distribution board in the marquee that then safely supplied each element of the marquee. This is the best and safest way of supplying everything required in that marquee. Unless you work at particular venues or run power from generators regularly you are unlikely to have or be trained in this sort of equipment. If you turn up to a venue like this (and it is rare, usually venues use the same marquee companies repeatedly) with the power requirements listed above and are not sure how to handle it my recommendation is to get an electrician in to handle the electrics and charge that as a service on your quote. If it’s somewhere you’re likely to work at regularly then you may want to go on a course and buy the required equipment yourself (see our friends at Essential Supplies). Of course if the only power required is your lights then that’s easy to run the extension lead across to plug in to that single 13amp socket and no electrician is required. Just don’t try and ‘wing it’. There are many areas of marquee erecting where you can make it up as you go along (eg joining to a building, lining an unusual structure) electrics is not one of them. The marquee forum has sadly had to close. Several people put a lot of energy in to it (especially MalP, Style & CascadeChris) but the take up in the industry just wasn’t enough to justify the work involved in maintaining it. If you’ve got any marquee related questions pop on to the facebook group, there are some very helpful members who have been there, done it and sold the branded T-shirts. Thank you to everyone who participated in the forum. Running the electrics usually comes under the marquee mans umbrella. It can be as simple as running an extension lead from the house, it can be complicated enough to justify getting an electrician in to look after the whole project. Whether you actually charge for additional power leads is up to you. It can seem a little petty but then running another couple of leads neatly can add another hour or so on to a job. I strongly strongly recommend that you only tackle electrical tasks that you are confident in. I would also recommend going on an Essential Supplies marquee electrics course that they run out of season to learn best practice. Running the electrical lead across to the house for our lighting is easy and straight forward. Running another power lead to the house (plug in to a different room) for a band or DJ is easy. If you start to need power for catering then it’s usually a job for a generator or electrician as they require so much power.  If in doubt then drop us a line and we’ll recommend what to do. My solution as hinted at in the original post would be to incorporate some of the trees in to the marquee. You have to be very careful they are small enough to do this and be very aware of where the trees would be inside (clearance is much lower at the sides than the middle). In a clear garden seating for 100 would probably be in two 6x10m marquees or similar. 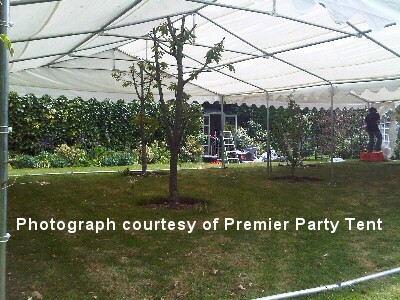 Because of the loss of space to trees you have to go up a size to two 6x12m marquees. Whilst on site you should also measure how big a marquee can fit in without trees inside, a customer may not like the idea of putting a marquee up over their tree and would rather have a smaller party. In the main trees give a lot of character to a marquee, theming companies often spend a fortune importing such things so why not use what is free and available. To the sound of a single party popper, the hurried scoffing of a jam doughnut and cries of ‘get back to work!’ we’re celebrating our anniversary. Although I’d written about marquees in a few other places previously it was 5 years ago that we decided to put everything in one place and add this blog to our website. It was hoped that amongst all of the marquee drivel that spouted forth people may sieve their own nugget of useful information. It has generally proved very successful and as a result of this and our other advice there are now hundreds more members of the marquee hire community. 30 years ago my parents (the ‘C’ and ‘D’) decided they had best formalise the business they’d been running for the last few years in to a limited company before it grew completely out of control. To give you an idea of my status at this point I knew the ‘D’ stood for Dad but couldn’t work out what the ‘C’ stood for.. Thank you to all of our customers over that time, thank you to all of the staff we’ve had the pleasure of working alongside and especially thank you to the ladies who have been with us throughout the life of the business. These are the ladies who were in charge of me as a kid but who (technically if not practically) I’m in charge of now in one of those strange relationships you get in a second generation family business. As always thank you for reading, my suggested solution to the previous post will be next week at which point normal service will be resumed.